The Sensory Soft Play Cube aids dexterity and practical learning and has been designed for use in schools, pre-schools and nurseries. 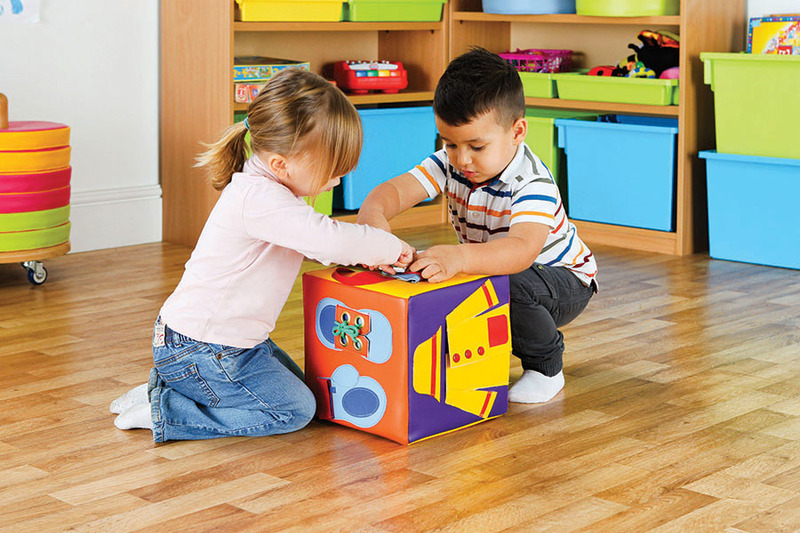 Great for interaction the getting ready cube features six recognisable fastenings. These include, press studs on a raincoat, buttons on a waistcoat, belt on some trousers, fastex buckles on a backpack, zip on a dress and Velcro and laces on some shoes. The sensory soft play cube is ideal for developing hand-eye co-ordination and fine motor skills and helps to teach children the basics of getting ready for the day. The sensory soft play cube has no hard edges and is manufactured using a dense foam which is covered with a soft touch vinyl which is closed-stitched sealed to ensure the covers are not removed.